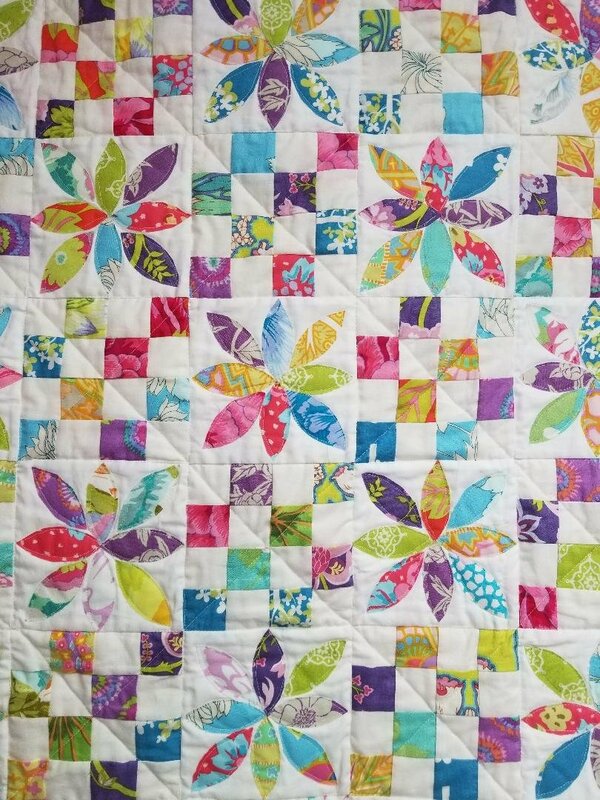 This is the perfect quilt to get you started with your Accuquilt Go! If you don't have a Go! no worries, you can also hand cut your petals or learn to use the leaves galore ruler. This is a great class for confident beginners! You will learn piecing and applique. This is a two session quilt class.